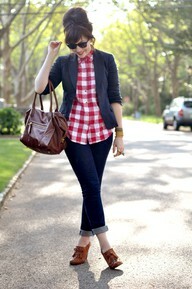 participating in the Pin off link up over at Simply Sarah to recreate an outfit found on Pinterest. I'm participating on a casual day, so I'm recreating a casual outfit. Welcome to the pinterest world!! It's addicting, huh?